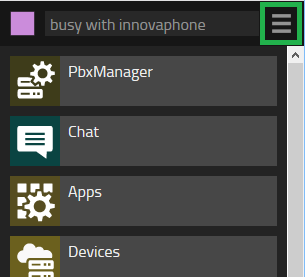 A short walk through the myApps client, which is your interface to the complete PBX system. So now let us log-in to myApps. and briefly look at some of the Apps available there. So this is a browser-based client and you can open it from any web browser. You will then be asked for a Username and a Password. Once you have filled in those, you can Sign in. Since we are going to walk through the client now, you may want to open a new browser-window and run myApps in it while you continue to view this book in parallel. which will start it with the English UI so it matches all the screenshots in this book. 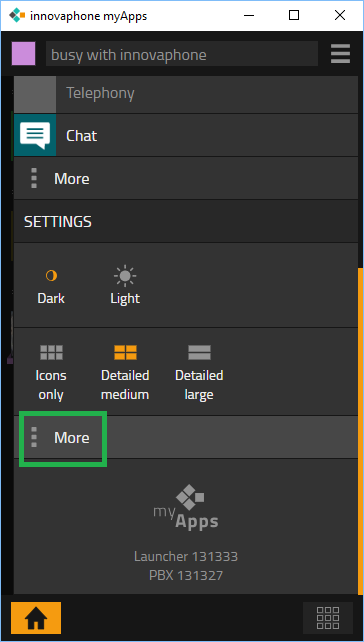 You can resize the myApps window to the smallest horizontal size so that you can view this book and myApps side-by-side even on a small screen. 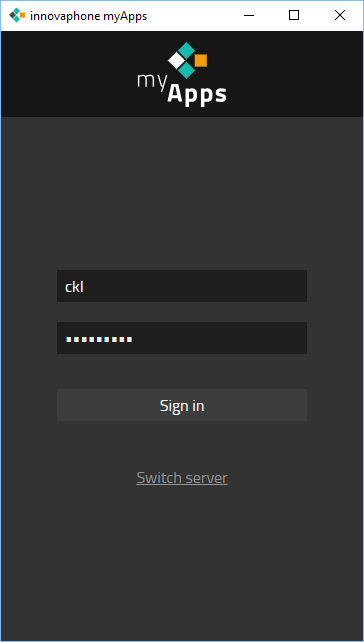 You have specified the user and password to log-in to myApps as Admin account during the Install. So Username should be invalid member reference '.username' in 'username' and you should have noted the Password in your Setup-data.xls. So go ahead and log in! Oops, so what is that? 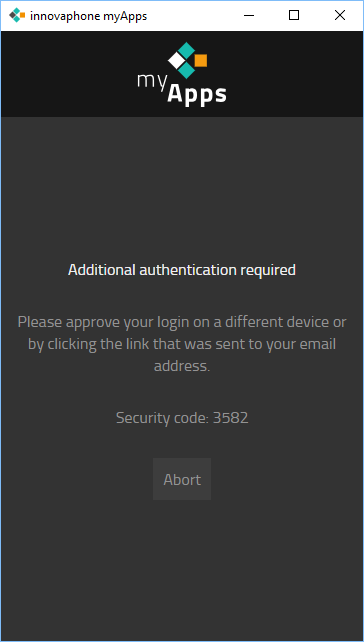 myApps does not reject your log-in, but it insists about "Additional authentication required". This is what is known as two-factor authentication (which we have enabled in the Install). 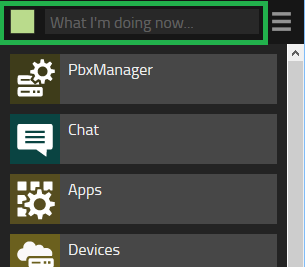 To log-in to myApps, you need to convince the PBX that you really are who you say you are. Your username and password is not enough, you need to provide a second proof. In our case, the PBX has sent an E-Mail to the address which we specified for the user and we need to click on the confirmation link in that E-Mail. You now need to open your E-Mail (either your real E-Mail or our special training E-Mail, depending on what you have specified during the Install). If you specified your own E-Mail, simply open your email client. If it was our special training E-Mail server, open training-mail.innovaphone.com/owa and log-in using CLASS\invalid member reference '.longuser' in 'longuser' as user and invalid member reference '.pw' in 'pw' as password. Hello invalid member reference '.firstname' in 'firstname' invalid member reference '.lastname' in 'lastname'! There was a login attempt using your account. 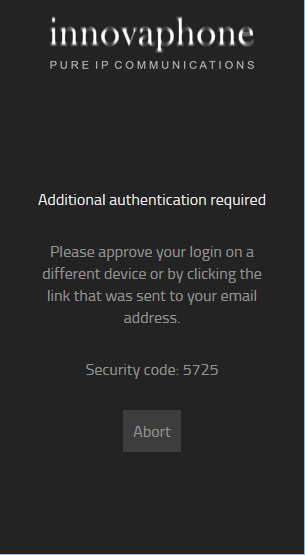 When you click on the "Click here to continue with your login" link, the PBX will know that you have received the E-Mail and approved the log-in, so it will let you pass. NB: the link will only work if you open it on the computer that is connected to your training network (cause only here, the DNS name hq.invalid member reference '.domain' in 'domain' is known). If you open it for example on your mobile phone, it wouldn't work. You did not receive the E-Mail? Either run the Install again (and this time only continue if you really received the test E-Mail ) or have your trainer disable two-factor authentication on your PBX. 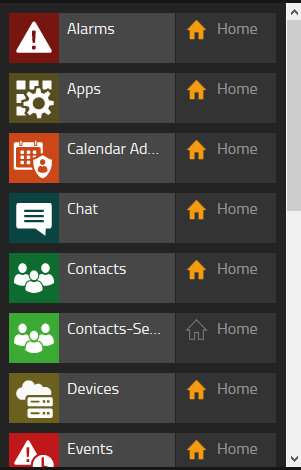 Now that you're logged-in, you see what is called the home screen. Let's see what it has. 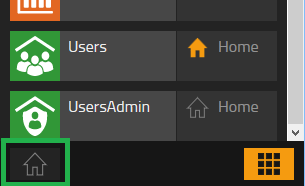 The left and middle part of the header bar allows you to manage you presence state. Your presence is made up of two parts. The coloured square on the upper left corner allows you to set your activity (something like Available, Away, Busy or Do not disturb). 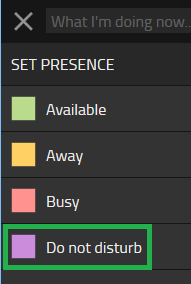 When you set this, it will be shown to other users, for example when they try to call you. click on the square and change it to Do not disturb. Right next to the coloured square, you find a text field that allows you to add a some text to your presence. click into the text field and type some text to set a note. for the myApps client. You can close them again using the burger menu on the upper right edge. For now it is enough to know that this is the way to access your personal settings. The main part of the home screen shows all the Apps you have placed on your home screen, so that you have immediate access to them. While this is nice and useful, the home screen is a little crowded, so we will have a look at how items are added to and removed from the home screen. This is done using the list of all apps available to you, which is shown when you click on the grid icon on the lower right edge. 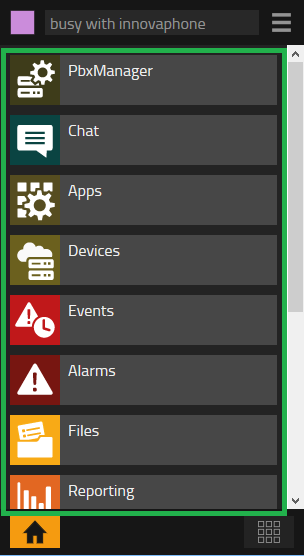 Click on the grid icon to display the list of all apps available to you. You will notice that some of them have a coloured home symbol and some don't . Those with the coloured symbol will be shown on your home screen. To return back to the home screen, click on the home symbol on the lower left edge, and eh voilà, your home screen looks much cleaner now. For faster access and clearer overview, you can re-arrange and group the items on your home screen. To re-arrange an item, simply drag and drop it to the desired place using the mouse. 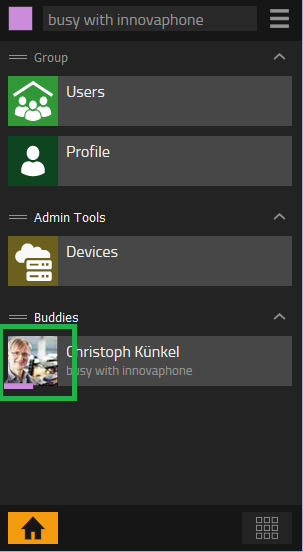 To create a new group, drag an item to some free space on the home screen. A new group title will appear. You can rename the group by clicking in to the group header and type in the new name. to the now free space. on the right side of the group title. An App is a web-based application that runs under control of the myApps client. When you click on an item on your home screen, the App will be started and it will run in the same browser window. All relevant functionality (such as controlling a phone (CTI), looking up contacts in a directory, visual voice mail etc.) 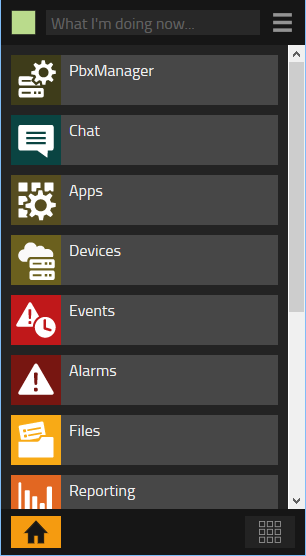 is implemented in a bunch of Apps which can be run from the myApps client. myApps itself only serves as a host for these apps. 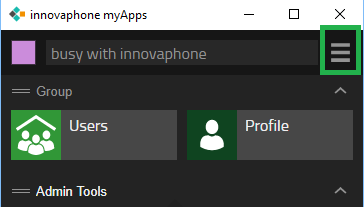 Note that myApp's footer changed to show the new app that is running. You can now switch between the Users App and myApps's home screen by clicking on those symbols. 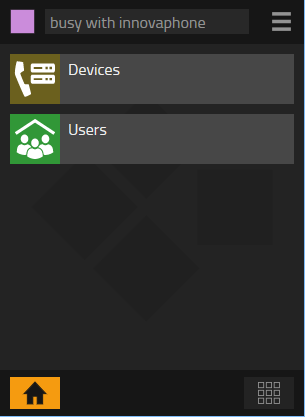 Users is an App that allows you to browse all users on the PBX. Currently, it is a bit boring, as there only is one user defined, which is yourself We will discuss this in much more detail later. now. If you click on this contact-as-an-App, the Users App will open again and show the user details. You may think that the new item on the home screen does not fit the group you have created lately. You already have seen that you can toggle the show on home screen symbol in the list of all apps available. There is also another method available, which might be more convenient: you can use the so-called long-press on any item on your home screen. This is done by clicking on the item without releasing the mouse button. 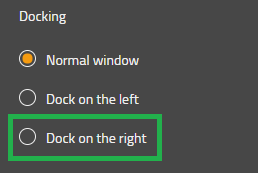 Just like as if you wanted to drag the item to another place. However, in this case, you do not drag it. After short while, a dialog will pop up and you tick the Remove from home check-mark. Add an App to your home screen and remove it again using the long press. To get a little familiar with using Apps in myApps, here is a little challenge! Upload your own avatar (i.e. photo) to your user record in the PBX. 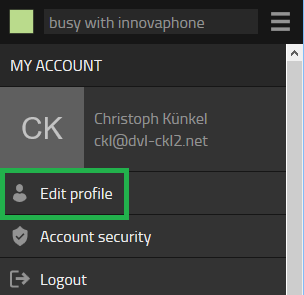 When you switch back to the home screen, you will see the entry for yourself with a (hopefully) nice avatar . 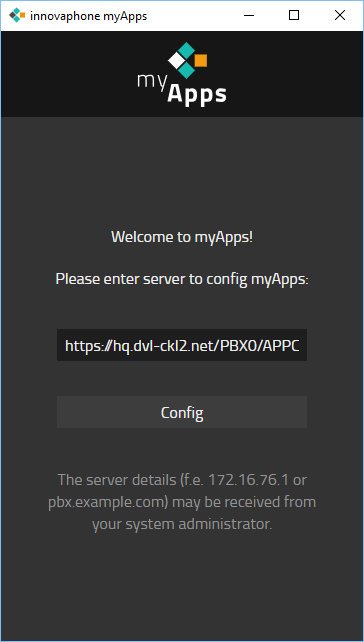 When you start the native myApps it will ask you for the server to connect to . Please use https://hq.invalid member reference '.domain' in 'domain'/PBX0/APPCLIENT/appclient.htm?lang=en and click Config. 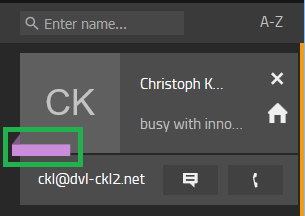 You think its difficult for users to type in this long server name (https://hq.invalid member reference '.domain' in 'domain'/PBX0/APPCLIENT/appclient.htm?lang=en) on the first log-in? Yes, you're right. In fact, it is sufficient to simply type the PBX's FQDN (hq.invalid member reference '.domain' in 'domain' in your case). We used the long version only to make sure the user interface is in English (as all the screenshots in this book are taken from the English UI). 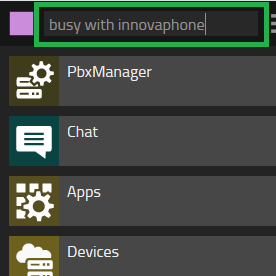 myApps is the primary user interface to the PBX functions (well, except for your phone perhaps). It is web-based and as such available on any platform that supports web browsing. Some features however need native operating system support. For these, a platform specific install is provided (currently for Windows, Android and Apple). myApps on its own provides only a very limited function set (such as authentication and the home screen which allows you to launch more apps). All other functionality is provided by further Apps which may be installed from an App Store. The App Store in turn is managed by the PBX administrator (so as to ensure full control over the choice of Apps available).